This fireplace changed my outlook on gas! This fireplace produces good heat and the log set looks good. Good looking grain in the wood, but the top side pieces kind of look just placed on there with glue. There was no black pipe for this, so it looks a little weird without it. The stove still works great though. This company has one of the best customer supports I have ever had the pleasure of doing business with. It heats the house quickly and having a remote is a plus. Would recommend this log fireplace to anyone needing a affordable and good product. This fireplace was exactly the right product for our needs. It is compact, efficient and was not that expensive. The supplemental heat provided is perfect for the space we have. For the price, you can't beat the quality. Very user friendly and aesthetically pleasing. Vent free fireplaces are both highly convenient from a purchasing standpoint, and flexible from an installation standpoint. 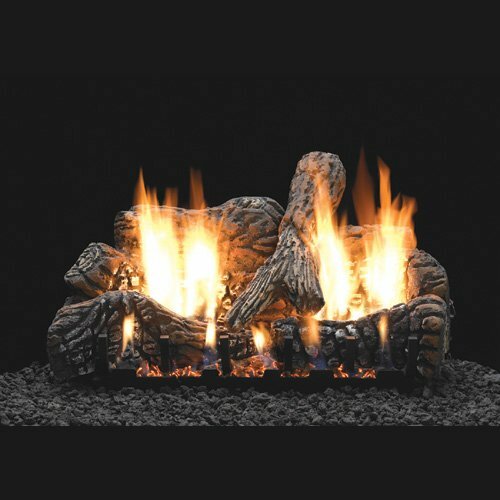 Since the customer receives the complete fireplace with both gas burner and log set, and the installation can be performed in any way desired, and since there is no venting required making the installation less expensive and less time consuming, vent free fireplaces has become one of our most popular categories. Each fireplace can be highly customized with either manufacturer cosmetic facing options, or field installed custom building materials, making each finished project extremely unique. 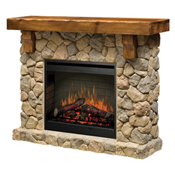 Our fireplaces are ordered by size ranging from 20 inches to 42 inches wide in overall viewing area. Please note that the actual sizes of the vent free fireboxes are wider than the viewing areas. 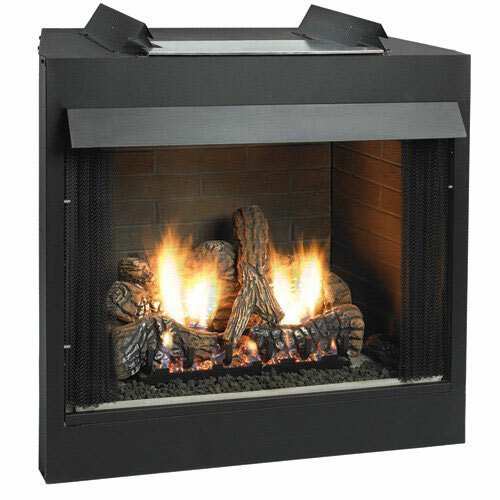 Vent free fireboxes are zero clearance units which can be installed in many different ways. You can upgrade your firebox with a pre-manufactured mantel, have a custom mantel built onsite, or simply recess the firebox into the wall. Fireboxes also have a multitude of different decorative facing options that can compliment your finished fireplace. 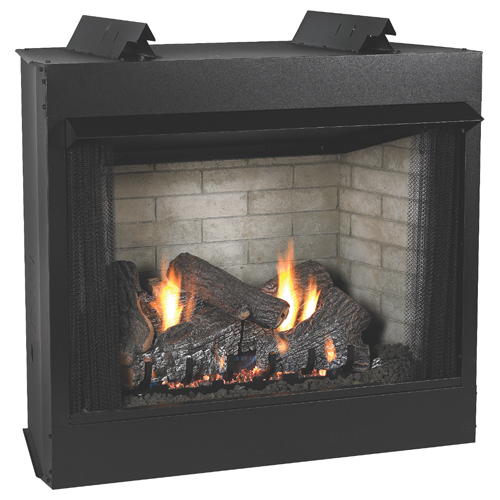 While many of our vent free fireboxes can be upgraded with gas log and burner sets, they do not come standard. Vent free fireboxes are used for vent free gas burners only, as there is no venting system available with these fireboxes. Vent free fireboxes may come with several other decorative features as well, such as brick liners, curtain screens, flush face, or louvered face. Vent free gas log and burner sets can be implemented in several different scenarios. 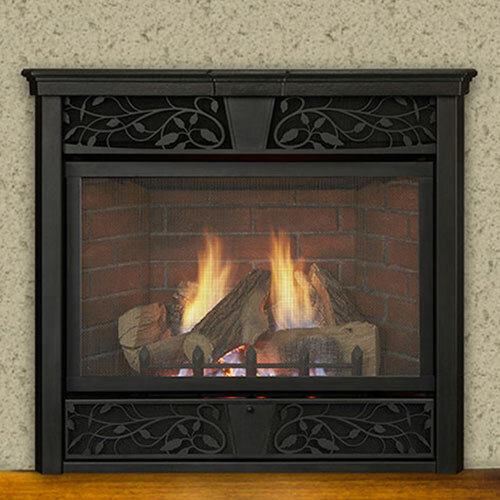 If you are looking to convert an old masonary fireplace to a vent free gas fireplace, you can do so by running a gas line and connecting your new gas logs. This is contigent however on an inspection of your existing masonary fireplace to determine its structural integrity. Once converted to gas, you will experience higher efficiency and more heat in return for the money you spend burning fuel. Vent free gas logs make the difference between turning on your fireplace for instant warmth and ambiance, versus the lengthy and burdensome process of starting a wood fire. Add a vent free gas log set to your home today. 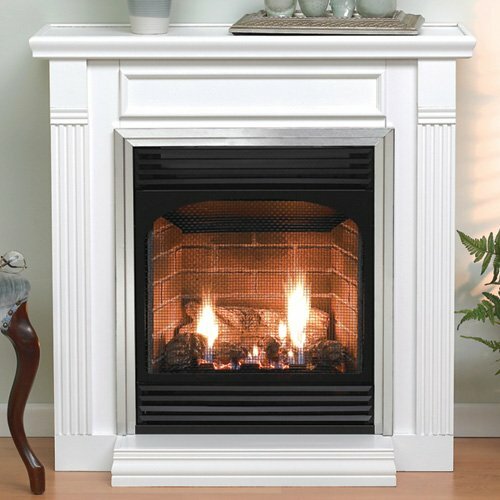 VentFreeFireplaceStore.com is the #1 online solution to all of your Vent Free Fireplace needs. We offer great products at affordable prices with dedicated customer support. Please feel free to contact us anytime with questions or assistance placing your order. Our Vent Free Fireplace experts at JBS Retail are ready to help! Thank you so much for spending the time with us to figure out exactly which fireplace we needed. We'll be sure to recommend you to all of our family and friends. With over 10 fireplace pruchases in the last year alone, your company continues to provide us with the highest quality products and customer support. Our building projects rely on your expertise and we appreciate every bit of it.